I’ve been tagged again! 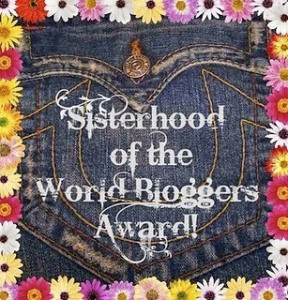 This time, Shantelle tagged me in the Sisterhood of the World Bloggers Award tag. On to the questions! Shantelle came up with some really fun questions! What genre have you read most of this year? I’ve read mostly Christian YA fiction this year, especially speculative and indie titles. I just discovered a whole community of Christian YA authors, and I’m slowly working my way through all their books. A few books you hope to read soon? I’m currently reading Of the Coldblooded by Angie Brashear. How can you not want to read this book after looking at the cover? Once I’m done with this book, I have a stack of books to read, and I haven’t decided which one to pick up next! Favorite book of the year? Seriously? I have to pick one? And I have to remember all the books I’ve read this year? So far, I’ve read nearly one book a week, so it starts to add up after a while! 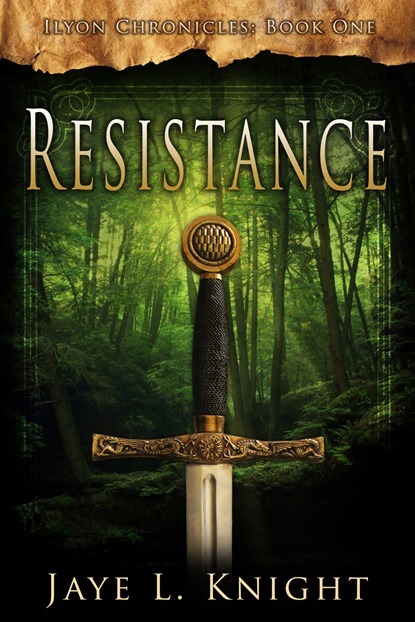 Since I have to pick, it would probably be Resistance by Jaye L. Knight. I read it in one day in January when I was home sick from work with a bad cold. I absolutely loved it and immediately began shoving the book at all my friends and family and ordering them to read it because it was amazing. 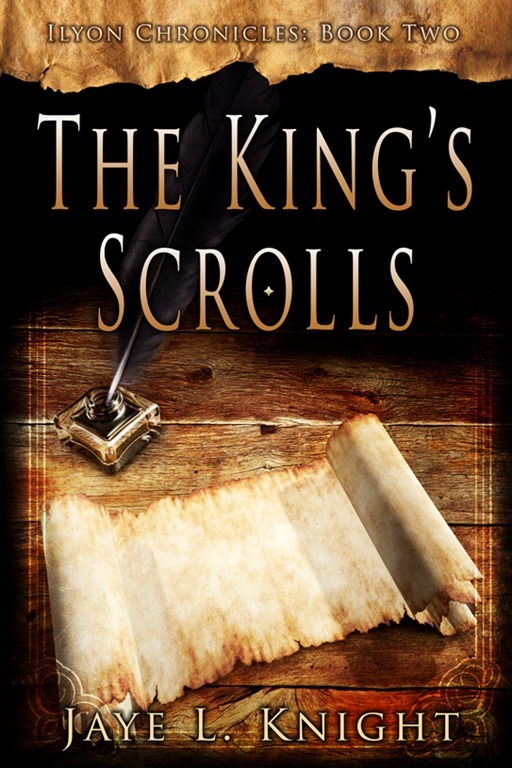 Luckily for me, The King Scrolls (book 2) came out a month later, but now I’m stuck waiting with all the rest of you Ilyon fans! What was your favorite blog post this year? Probably the character chats I did for Dare‘s blog tour, especially the second one I did. I had a few of the early readers ask some great questions that really got the characters squirming! Um, I have a confession. I have a sweet tooth. I love a lot of things, especially donuts, ice cream, and my dad’s homemade chocolate shakes. Winter. While I like warmth, I don’t like it when it gets too hot or humid, and I’m not a beach person. Give me three feet of snow and a pair of cross country skis any day! Publish book 2 in my series The Blades of Acktar before the end of the year, hopefully sooner rather than later! Do you enjoy fairy tales? Which ones do you like the most? I love fairy tales! Beauty and the Beast was always my favorite. When I was little, my grandparents gave me a large, beautifully illustrated book of fairy tales (I still have it on a specially place on my shelf). I especially loved the book because the illustrations for Beauty and the Beast were on the cover, and Beauty and the Beast was the first story in the book. Which Disney princess are you most like, and why? After all my ramblings about Beauty and the Beast, it’s probably no surprise that it was also my favorite Disney movie growing up (Tangled wasn’t out yet!). I think I loved it so much because Belle is a lot like me. She loves to read, she adores her father, she isn’t impressed by the hunky guy with no brain, and she dreams of doing something important. She also had a horse, and I desperately wanted one at that time. Though, I look nothing like her. She has brown hair and darker eyes, while I have curly blond hair. Which Disney prince do you consider the most dashing? Li Shang from Mulan, because he is kind of the opposite of Flynn Rider. Shang is the straight-laced, by the books guy who finds out he needs to bend a little bit. And he is absolutely sweet when he stutters. So what about you? How would you answer these questions? Hmm…I’ll answer a couple questions. I’m sure there’s more, but that’s all I can think of at the moment. I’ve got a sweet tooth as well, but my favorite dessert would have to be cheesecake. I LOVE IT. I like your goal, by the way. I like your books you’d like to read! I can’t wait to read Jill Williamson’s new books too! Homemade chocolate shakes sound quite delicious! !